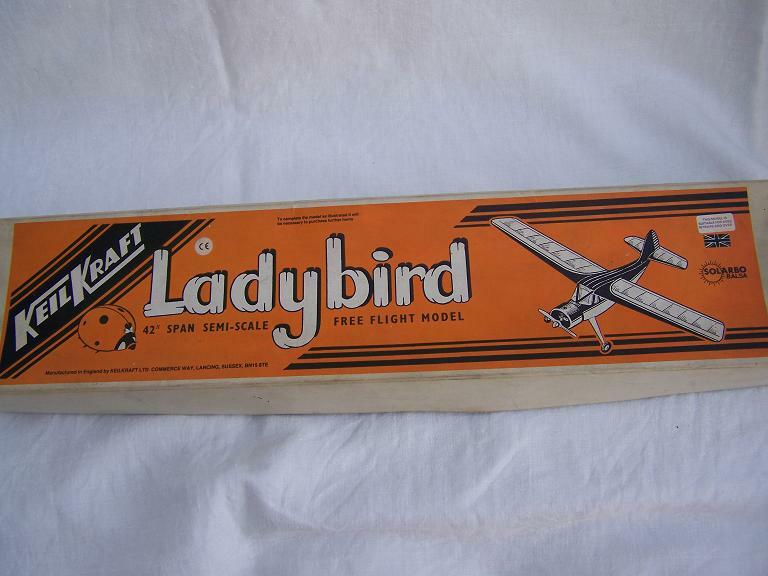 42 inch free flight, can easily carry radio. Plans show an ED Bee 1cc diesel engine, but a 1.5 glow and R/C would work. 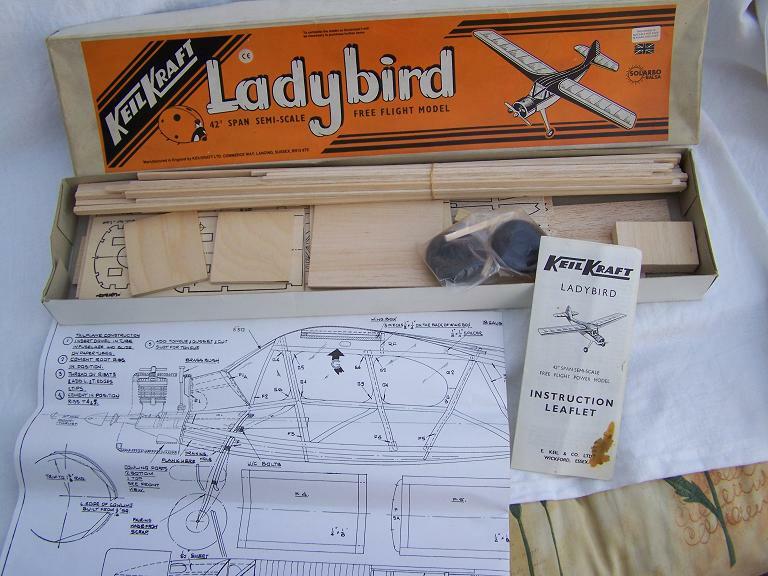 Notify me of updates to Keil Kraft Ladybird model aircraft kit.